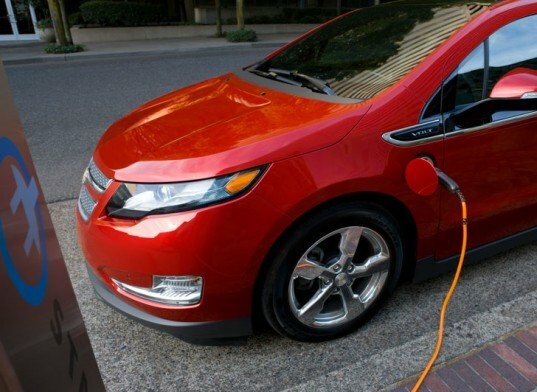 When General Motors unveiled plans to temporarily halt production of the plug-in hybrid Chevy Volt for five weeks, the announcement was widely portrayed as the demise of one of our favorite vehicles. 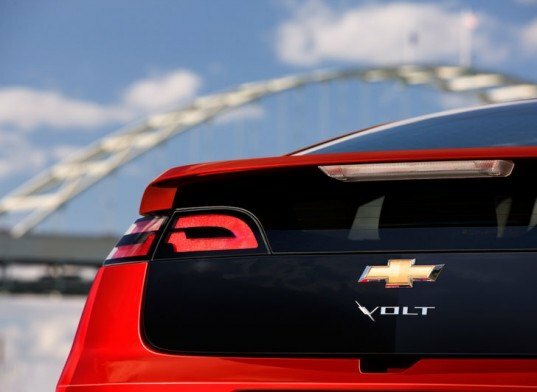 Well, we’re here to tell you that the bad news is all hype – the Chevy Volt is here to stay, and the electric vehicle market is just getting started. Where gasoline once had a monopoly on the market, now even the President of the United States is putting his weight behind algae, fuel cells, and electric vehicles. We predict that as one of the first to make a splash, the Volt will climb over this five week slump and continue to be sold as one of America’s most innovative driving machines – read on to learn why. 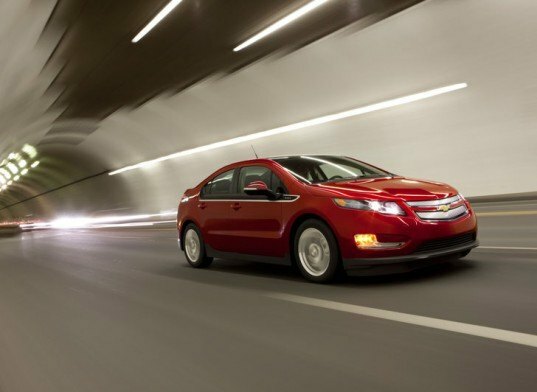 GM announced plans to temporarily halt production of the Chevy Volt due to smaller than expected sales. In order not to cut the price of the Volt, Chevy has decided to shut down production, sell out the inventory, and then return to production once all the Volts sitting on lots have been sold. This downturn in sales could actually be normal; GM sold 1,626 Volts in the first two months of this year – far short of their goals – but that number is still significant. Perhaps this hiccup is due to GM trying to shoot the moon, or perhaps it is due to a misunderstanding public. This volt is a new concept – a new technology that people are going to have to warm up to before they feel comfortable moving away from their gasoline addictions, especially at this price point. 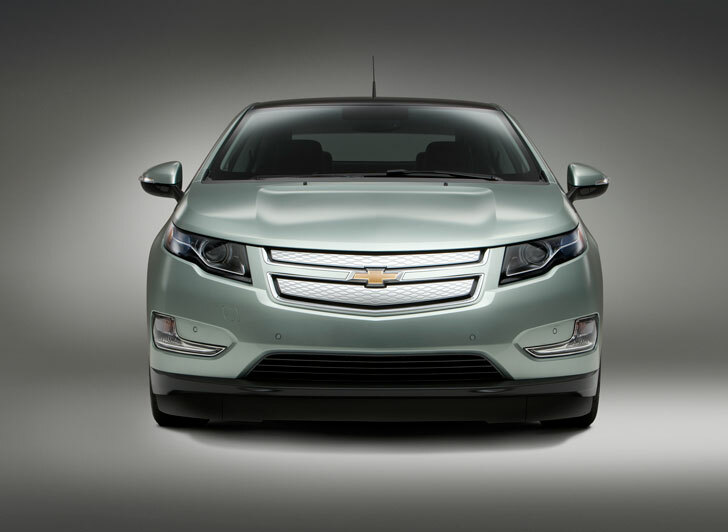 So let’s detail the problems the Volt has had and see if we can help Chevy work around them. We can’t let the first successful plug-in hybrid electric vehicle get run over because of a month-long shut down in production. One of the most notable hiccups came back in December, when headlines reported that there was a possibility that Volt batteries could, in a perfect storm, catch on fire. Although it took awhile, Chevy resolved the mechanical issue and the vehicle now has a clean bill of health from the government. In the meantime, the media folks over at Chevy were less than speedy in handling the situation and explaining the issue to the public. Thus, the general populous has been left with the feeling that Volts could spontaneously combust on the highway. The truth is that the mechanical issue, which is now fixed, caused a fire to break out in a Volt battery that had been in a high-speed crash test two weeks before the flames appeared. The fire was caused by a damaged battery sitting around for two weeks, and the possibility of it happening in the real world is slim. 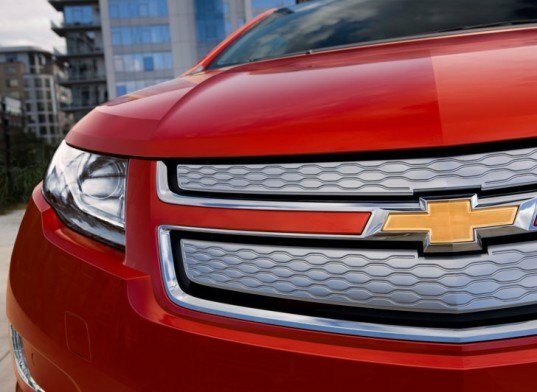 The folks at Chevy understood the problem, didn’t think it was a big deal, and decided not to hype it. The problem was that the media didn’t understand the situation – the headline was hyped anyway, leaving Chevy to chime in and fix things. They weren’t able to repair public perception and lingering fears remain. The next hiccup came without warning, and it came on strong. Although it makes absolutely no sense at all, considering their no-foreign oil platform, all of the Republican Presidential candidates decided to start using the Chevy Volt as a “radical environmentalist” punching bag. They wanted to gain conservative votes despite the fact that their own scientists say they are talking nonsense by attempting to demonize innovations like the Volt in the name of climate change denial. Just as the Volt was gaining traction, the Republicans swooped in and decided to spew ignorant insults in its direction – and now that 1,300 hard-working GM workers at the Detroit-Hamtramck are being laid off for five weeks, those Republicans should have to speak for their actions. Their negative attitude toward this vehicle directly led to the public perception of this great green car as a symbol of some crazy conspiracy against humanity. Needless to say, these assaults were not predicted, yet the folks at General Motors need to stand up and deflect them in a constructive way. This car saves gas, reduces dependence on foreign oil, puts Americans to work in respectable jobs, and helps the American economy. A pitch like that could help make the Republicans rightfully ashamed of their actions. Perhaps they’ll lay off when this vicious primary is over. More full-electric vehicles and plug-in hybrid electric vehicles that require behavioral changes were sold in their first year than in the first year of a hybrid vehicle that allows drivers to just drive along as if their car were fully gasoline powered. That is huge. We think that General Motor’s predictions for Volt sales were a little high to begin with, and perhaps if they had taken more conservative numbers into account they wouldn’t need to temporarily shut down production at one of their plants. Lastly but perhaps most importantly, things like this need time. We are asking a public that doesn’t like change to alter the way they live their lives. We are asking them to use cars that plug into walls instead of gas pumps. We are asking them to wrap their heads around cutting edge technology that is difficult to understand. We are asking them to put more cash forward in order to save on gas in the long run. We are asking a lot – but we’re not saying everyone has to get on board now. The President understands this and has just announced a $1 billion initiative for alternative drivetrain model communities and a cash prize for engineers who can reduce the cost of electric vehicles and increase mileage. We are on our way to a place where alternative drivetrain vehicles like the Chevy Volt will become the norm because nobody wants to pay $5 or $10 per gallon of gas, but we can’t get there overnight – and hiccups like this should be expected. It’s not the end of the Chevy Volt, and surely nobody is killing the electric car. In fact, almost all major American manufacturers are doing just the opposite – they are releasing EVs of their own. I am the owner of a 2014 volt with 14,200 miles bought in March 3. I just had the blower motor replaced and the burnt out left running lamp. this lamp lights as the car is remotely started. I live in Jefferson city, TN and have recently purchased a 240 volt charger from Home depot. Approximately 83-90 miles per gallon of gas. took two 150 mile trips recently. Mpg dropped from 90 to 83.2. A lot of fun to drive when charged, like driving a 300hp Corvette with no shifting. wow, really quiet too. Charged miles dropped from 45 to approximately 38 with 21 degree weather. The car is White outside over black interior. I had a Prius but when my lease was up, I decided I wanted to support American workers, the economy and buy an American car. I looked at Ford, and then Chevrolet. Initially I was looking for a hybrid but after seeing and learning about the Volt, I realized I could buy American and go green! I was especially happy about not having to buy oil from hostile regimes! When driving the Volt I get a great ride, save on gas, and feel so safe. Everyday I find out something new and interesting about my Volt. Charging it is as easy as plugging it into a 110 or 220 volt outlet. I plug it in at night and in the morning I ready to go!! I'm very happy and excited about driving the Volt!! I too am a Volt owner (2012 Crystal Red #4111) and it has to easily be one of the best cars I've ever owned. I can make it to work-n-back for 90 cents of electricity, for what used to cost me $9/day in gas. It's quiet, it's comfortable, and has all the toys and gadgets you could EVER want. The public is being heinously misinformed by the political war, and the worst part, is it is they who are missing out on the best automobile the industry has ever offered, foreign or domestic. I encourage people to at least go LOOK at the Volt, drive one, and make up your OWN mind. Don't listen to the talking heads who have an agenda or big oil backing - form your OWN opinion. @kickincanada Thanks for your note! It is wonderful to hear from real-life Volt drivers. When General Motors unveiled plans to temporarily halt production of the plug-in hybrid Chevy Volt for five weeks, the announcement was widely portrayed as the demise of one of our favorite vehicles. Well, we're here to tell you that the bad news is all hype - the Chevy Volt is here to stay, and the electric vehicle market is just getting started. Where gasoline once had a monopoly on the market, now even the President of the United States is putting his weight behind algae, fuel cells, and electric vehicles. We predict that as one of the first to make a splash, the Volt will climb over this five week slump and continue to be sold as one of America's most innovative driving machines - read on to learn why.